Catherine Paige Bridal shoe exclusive style Maelee manufactured by The Perfect Bridal Company. Art Deco inspired t-bar sandal with peep toe made in dyeable ivory satin and kitten heel, additional underfoot padding and the security of a buckle fastening strap, your extreme comfort throughout the day is ensured. Materials: Dyeable Ivory Satin but the lining is fabric and dye may show through depending on colour. 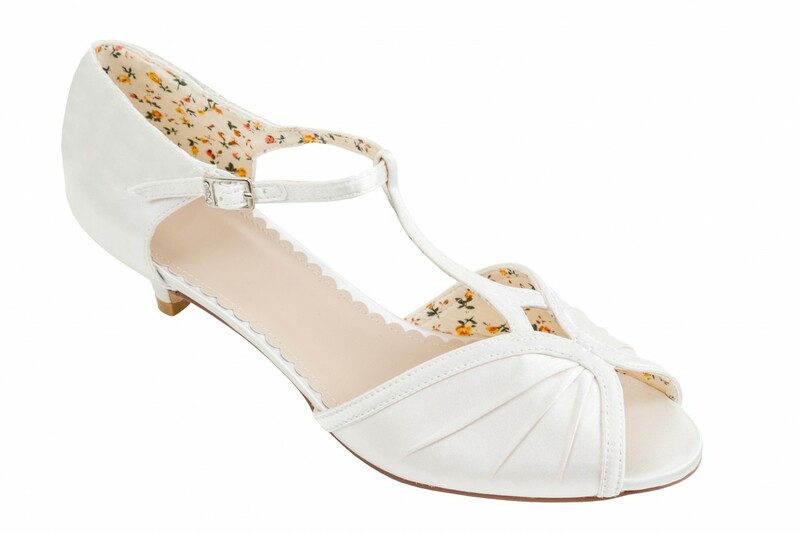 Click the button below to add the Catherine Paige Bridal Shoes Maelee Ivory T Bar bridal Shoes to your wish list.